Works great on your paint, glass, trim, etc. 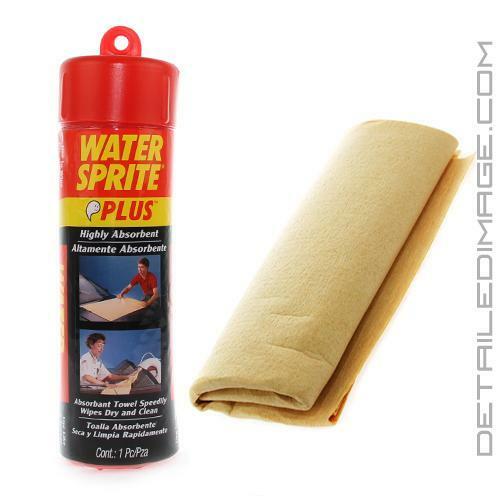 For really fast drying on any surface, the DI Accessories Water Sprite is your answer! The high quality and exclusive proven PVA material gently glides across the surface of your vehicle, lifting away water and leaving behind a spot free dry surface. From your paint to your glass, trim, plastics, etc. this chamois will absorb the water with ease. The Water Sprite comes in two great sizes, 5 square foot towel packed in a bag, or the 3 square foot towel with convenient storage tube. 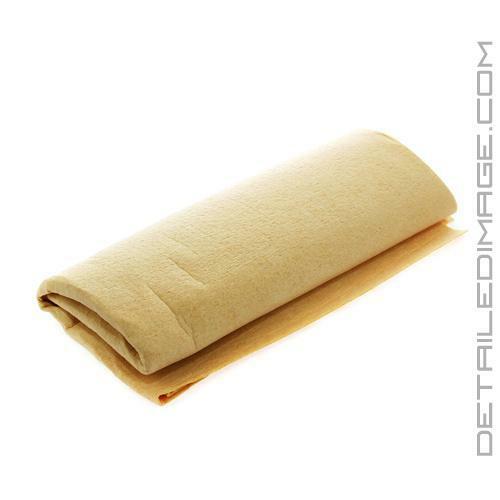 Use this towel on your cars, trucks, RV's, boats, or for chores around the house. Water Sprite is not affected by mildew, bacteria, and household chemicals, meaning it is extremely durable and it will last a long time! If you have a surface that needs to be dry, the DI Accessories Water Sprite will do the job quick and easy! Always rinse Water Sprite after use to remove any shampoo, chemicals, dirt, etc. Store in the provided tube (3 square foot version), or in a zip lock bag. Actually absorbs dirt and grime away from the surface of your car. Stores wet and ready to use in trunk or glove box. Cleans cars, boats, planes, windows and does chores all around the house. Not affected by mildew, bacteria and common household chemicals. Remove your WATER SPRITE from the bag and wet up using clear cold (never hot) water. Rinse WATER SPRITE to remove all soap and detergent. Pull WATER SPRITE across the clean damp surface. This action lifts off residual dirt and grime, leaving the surface dry. After using, rinse the loose dirt and grime from your WATER SPRITE with clean cold (never hot) water. This is a great tool to have. I like how it wicks up so much water effortlessly. Combine this, with CG V7 QD and they cut drying time in half.